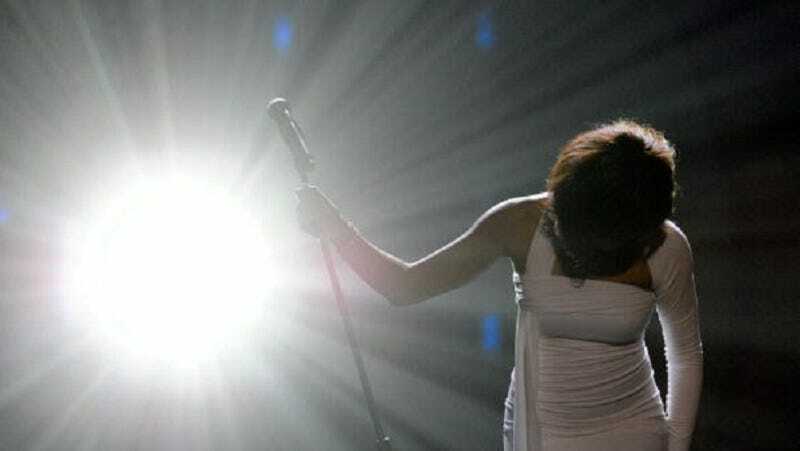 Soon you’ll have the chance to see a hologram of Whitney Houston perform all of the singer’s greatest hits. On Friday, Houston’s estate and Hologram USA announced that a Houston hologram will go on tour in 2016, as well as stream live on the company’s website. In addition to performing Houston’s best-known songs, the hologram will “interact with special guests.” Do you think the special guests will include Taylor Swift? Lest you think this is a weird and maybe unethical use of Houston’s image, you can put your worries to rest knowing that the hologram has the complete backing of Houston’s estate. “It’s a great opportunity for her fans to see a reinvention of one the most celebrated female artists in history and to continue a legacy of performances that will not be forgotten in years to come,” Pat Houston, president of the estate, said in a statement. Though critics have questioned the ethics of holograms, they’re apparently a thing now. First Tupac Shakur at Coachella, then Michael Jackson at the Billboard Awards, and now Whitney Houston. The same company who will produce the Houston hologram announced earlier this week that a Billie Holiday hologram will “perform” at the Apollo Theater in New York at the end of the year.